Hot tubs are the perfect end to your stressful day. But what you may not know is that hot tubs can be dangerous to your health and have many risk factors. Consider these harmful risks next time you get into a hot tub. Unfortunately, the list goes on and on about how hot tubs can be a risk to your health. An infection commonly caught in a hot tub is nicknamed the “hot tub rash”. The germ that causes this infection multiplies in water. Because of the hot temperatures a hot tub has, the disinfectant can’t work properly to kill these little buggers. The rash isn’t a huge problem, it can go away on its own. But there is a more severe disease that can arise. This disease is called Legionnaire’s disease which is caused by a germ called Legionella. You know that mist a hot tub makes? If the germ is present, you breathe it in when that mist rises. A yearly average on Health Grove reports that 100,097 injuries happen within pools or hot tubs. These injuries can be from slipping and falling in. You can come out with some bruises or something worse if you happen to hit your head. Accidental drowning can happen as well. Many studies have found the alcohol is most likely answer for drowning. It can also happen when hair gets caught into a jet or a filter, dragging the head underneath the water with no way out. Small children are more likely to drown in a hot tub because of their size. A way to prevent this is always having sober adult supervision to make sure everyone is okay at all times. 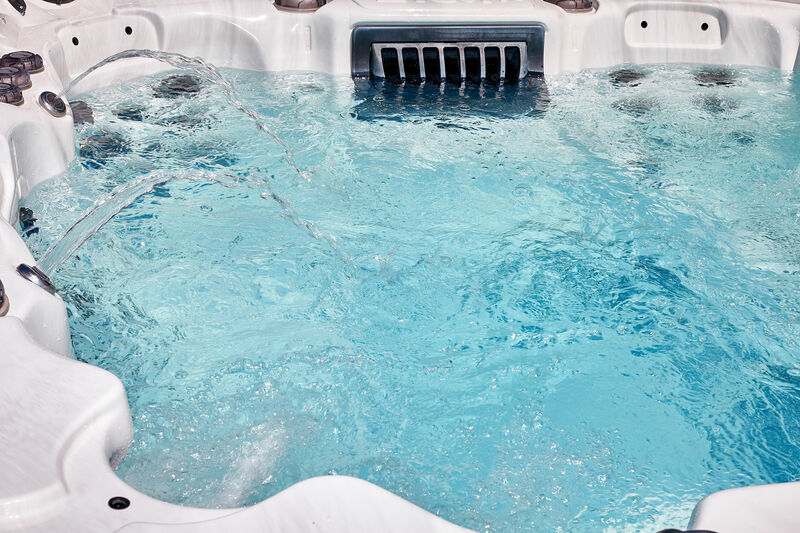 A common parasite found in hot tubs is cryptosporidium. They can live in treated water, chlorine doesn’t affect them. They can get into your body by swallowing the water. Once in your body, they find themselves a nice home in your small intestines. For some, the parasite will come out but for people with weak immune systems it could mean death. To keep yourself parasite free don’t swallow hot tub water, or water in any pool for that matter. For pregnant woman, your body temperature shouldn’t get above 102 F degrees. This can happen after only 10 minutes of sitting in a hot tub. Some research has been done about pregnant woman getting to this body temperature. It can cause birth defects in the baby and even miscarriage. Limit your time in a hot tub to under ten minute or the smartest thing to do would be to avoid hot tubs. Here are some safety tips if you have a hot tub, go to a public one, or use someone else’s. 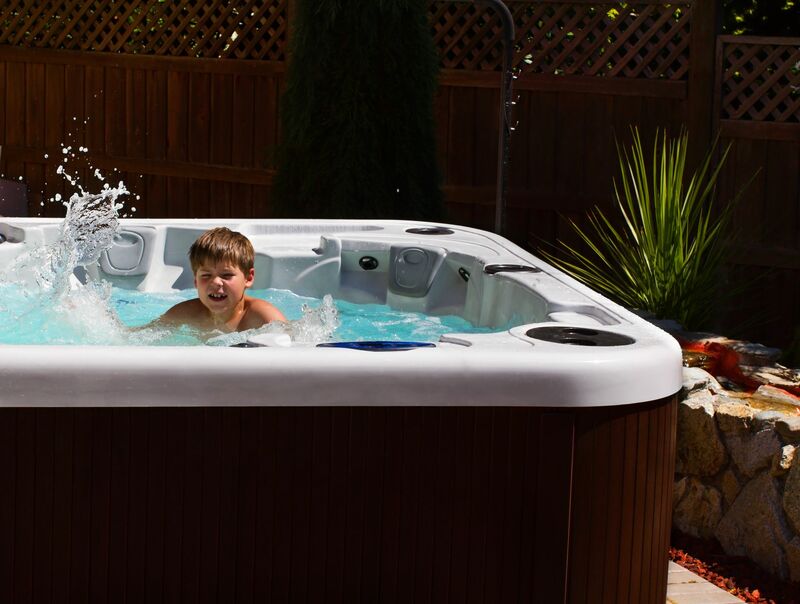 Children should be able to stand up in the hot tub with their head above water before being able to enjoy a hot tub. Babies shouldn’t go in them because of their sensitivity to heat. There should always be adult supervision. Stay out of the hot tub during thunder and lightning storms, this can cause electrocution. To prevent people accidentally slipping and falling into the hot tub, use rubber mats for seats and steps. Take simple precautions to ensure that you and everyone in your hot tub stays safe and healthy!